Find below all the latest employment news from Government sector. Employment news for the week from 16th November 2015 to 22nd November 2015 for organisations RBI, UKSSSC, Arunachal Pradesh Police, High Court of Judicature Allahabad, Western Coal Fields Limited, BSNL, Central Reserve Police Force (CRPF), Indian Maritime University (IMU), UPSSSC, Andhra Bank, RSMSSB, Central Bureau of Investigation (CBI), Mangalore Petrochemicals Limited (MRPL), Tata Institute of Social Sciences (TISS), Syndicate Bank, MPPGCL, Kolkata Port Trust, NABARD, National Health Mission (NRHM) and India Tourism Development Corporation Limited (ITDC). This week total number of vacancies published is 7608 in various locations. Also you might be interested in 18,072 open government jobs. 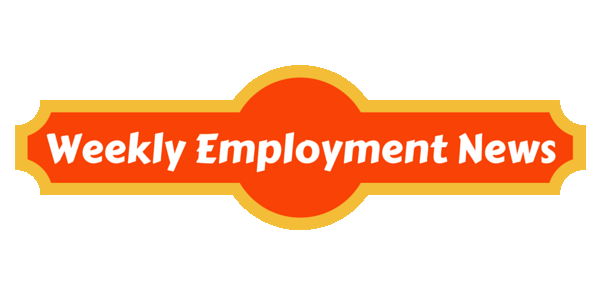 Also visit Weekly Employment News section for more job updates!